Dave Grohl of the Foo Fighters invites a young boy up on stage to play Enter Sandman by Metallica at a show in Kansas City, Missouri on October 12, 2018. He kind of looks like the kid in the video too! John Lennon in the United Kingdom in 1971 & New York City in 1972 discusses songs with his most inquisitive wondering fan. 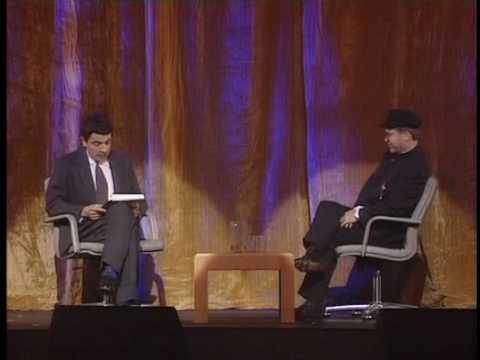 Rowan Atkinson interviews Elton John at Hysteria 3! in 1991. Hysteria 3! was coverage of the special comedy and music AIDS benefit gala held at the London Palladium.